How tall in Britain's tallest mountain? Re: How tall in Britain's tallest mountain? 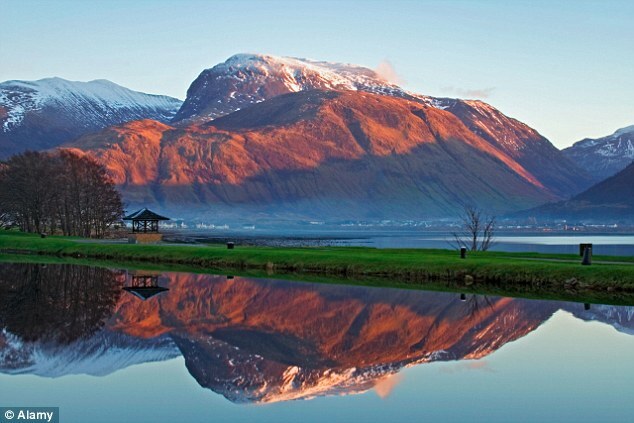 Ben Nevis stands 1,344 metres tall or, for any Brexiters out there, a majestic 2,965 cubits tall. Click to enlarge. I always thought that Britain's tallest mountain was Ben Nevis. And that, when last seen, Ben Nevis was still in the Grampian Mountains in Scotland. It's a bit stumpy but you really can't miss it. Are you telling me someone has just discovered a taller mountain lurking in a field somewhere in the shires of Britain? 3. Or your question is very very sneakily worded. I noticed you asked "How tall is Britain's tallest mountain?" rather than you asking "How tall is the tallest mountain in Britain?" So, if the mountain is British but not necessarily in Britain...then this might mean this taller mountain of yours is craftily hidden under the sea, somewhere off the coast of Britain. All of which makes me think it can only be the massive sub-sea mountain oddly called Anton Dohrn which, at 1,700 metres tall, makes it almost a quarter taller than the stump of Ben Nevis. PS Why is it called Anton Dohrn? He was a German zoologist. What's wrong with a British name? Wash your mouth out for implying the Daily Wail is my "reputable" news source. But then have a sweet for getting the right answer. Mouth duly washed out. But can I have a snorkel instead of the sweetie? I'm off sugar and fancy a sight-seeing trip to the top of Mount Anton Thingywotsit. If the mountain is British but not necessarily in Britain the correct answer is Mount Jackson at 3184m.